In previous posts we have discussed the absence of a significant correlation between U.S. News rankings and the number of prestigious scholarships awarded to the public universities that make up the Fifty we are reviewing. While it is true that many public “elites” such as Virginia, North Carolina, and Michigan–all ranked highly in U.S. News rankings–have a high number of students who have won prestigious scholarships, the overall correlation between the rankings of the Fifty and the number of scholarships is quite low. But as a part of our work, we have analyzed the total curriculum requirements for honors completion of the Fifty, and when the curriculum requirement as a percentage of all hours required for graduation is calculated, we have our “curriculum metric.” When this metric is compared to our metric for prestigious scholarships, we find a significant correlation. 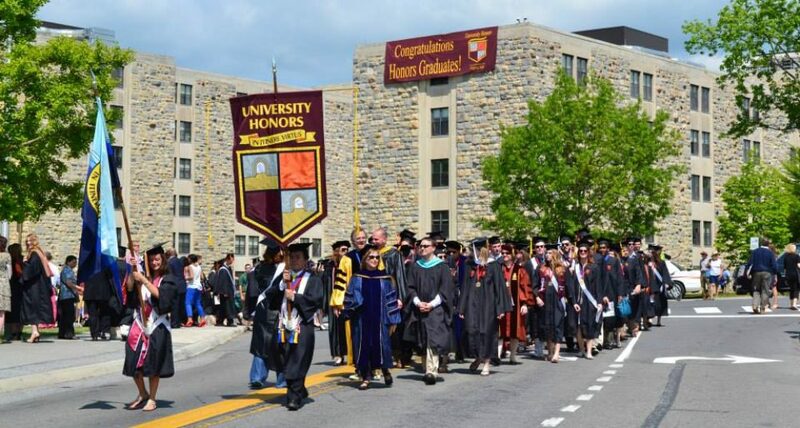 Many universities that, as a whole, are ranked lower than 100 by U.S. News in the national university category, over-perform to a remarkable extent in the attainment of prestigious scholarships, and that over-performance is strongly linked to a higher percentage of credits required for honors completion. One example is a university whose U.S. News rank places it at number 43 among our Fifty, but with a curriculum requirement ranking number one among the Fifty for honors completion, the university’s prestigious scholarship attainment places it at number 24 among the Fifty, above the median. Another example is a university that ranks 48 among the Fifty based on U.S. News rankings, but because of a strong curriculum, the school’s attainment of prestigious scholarships places it at number 13 among the Fifty. On the other hand, a university ranked near the top of our Fifty according to U.S. News comes in last in the number of prestigious scholarships. The university has a limited honors curriculum requirement. Of course there are exceptions, but the clear statistical message is that curriculum really matters when it comes to attaining the most impressive honors of all. This entry was posted in Honors Curriculum and tagged Honors Colleges, honors curriculum, Prestigious Scholarships by Honorsadmin. Bookmark the permalink.